length of all structures is 3.97 metres. 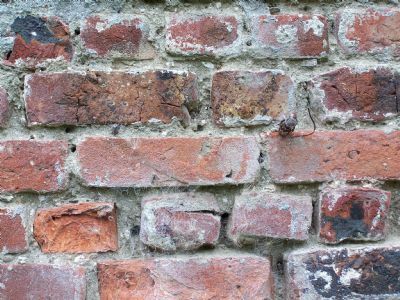 First edifice (west) width 1.87 metres, followed by a wall thickness of 0.50 metres, next edifice width 6.86 metres which has evidence of flues, which suggests a hot house, the third edifice width 1.30 metres, which also has evidence of heating, wall thickness 0.91 metres, next edifice width 2.50 metres. And finally at the east side a zinc shed length 2.90, width 2.57 metres, height at tallest point (south) 1.80 metres, height at lowest point (north) 1.18 metres. Lined and floored with strip of wood, evidence of iron cast pipes, to confirmed a heated construction. 'Williams and Metcalfe were paid £12:10:9 for new boiler for the vinery in 1891' (NLW Nanteos Papers A54).